The patchwork, “kick the can down the road” last-minute measure enacted by Congress to avoid its own creation, the so-called “fiscal cliff,” has predictably sent bourses across the globe swooning for the stars. However, many excellent economists have pointed out that this deal is a meaningless diversion. In two months, America’s constipated political establishment will again confront the debt cliff, as it did once before, in 2011. All the signs point to a major battle-royal over extending the debt ceiling, and the spending cuts and/or tax increases that will be tied in with the deal. It is often said that watching legislation being made in Washington DC is like watching sausage being fabricated at a meat-packing plant. 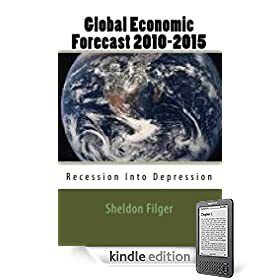 With the U.S. economy only being kept on supposedly tepid GDP growth through trillion dollar annual deficits, facilitated by the Federal Reserve’s ill-disguised monetization of the debt, any partisan wrangling over the debt cliff (a likely scenario,) will likely impose severe repercussions on the global economy.